As a follow-up of a previous question, I would like to know what enzymes or protein complexes have been used to manipulate DNA samples into stabilizing DNA loops. I have read that cohesin is one of such enzymes, but works as a transcription factor by binding specific DNA motifs. My interest is in knowing what other enzymes will create DNA loops with no DNA motif biases from a DNA extraction. This is a follow-up question to this one, as ultimately I would like to know if there could be any ways of optimizing the process of DNA circularization of very long stretches of human (or mammalian) double-stranded DNA, from several kilobases to megabases, by first creating stable DNA loops that leave two DNA ends close by for a more effective ligation process. 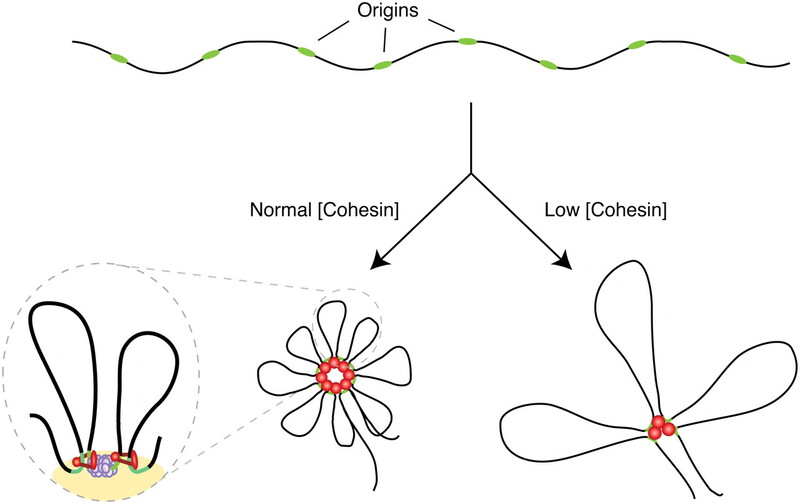 Cohesin binding peaks correspond closely to peaks of high local AT composition, a base composition periodicity of ∼15 kb that is distinct from the ∼50 kb periodicity of base composition isochores, consistent with axis association of cohesins. DNA-protein complexes can be crosslinked and subsequently the loops can be pulled down. However, this is tricky. You would need to cut the DNA at the loop ends in order to ligate them together. I don't know how to do that (Perhaps by using an antibody linked to an endonuclease). Not the answer you're looking for? Browse other questions tagged biochemistry molecular-biology dna or ask your own question. Do mitochondrial DNA have repair enzymes? What makes DNA sticky-ends sticky? Are there proteins that stabilize mRNA:RNA polymerase or mRNA:ribosome complex? Is there a hypernym for enzymes that “cut” other molecules? DNA or enzymes — which came first?